Kabaddi World Cup is an event that has been organized since 2004. 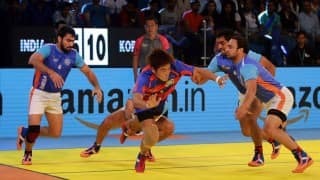 Till now there has been 7 successful Kabaddi World Cups and the eighth - Kabaddi World Cup 2016 will be held in Ahmedabad, Gujarat in India. 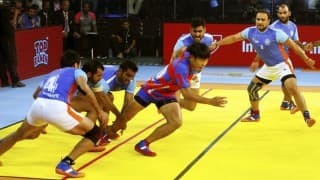 After the first World Cup held in 2004, the second world cup was held in 2007 and from 2010 the Kabaddi World Cup started to be organized annually. However, there wasn't any Kabaddi World Cup in the year 2015 after the Guru Granth Sahib Desecration controversy. In all the Kabaddi World Cups held, India has won all the gold medals in both men and women's team. 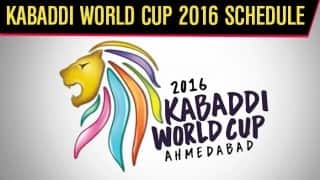 The eighth Kabaddi World Cup will begin from 7TH October and the final of the World Cup will be on 22nd October 2016. 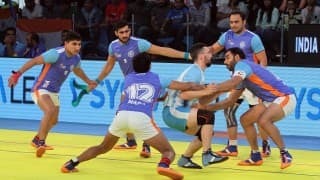 Kabaddi is a contact sport which originated in Ancient India and is one of the most popular Indian sports' played in the country. The game has different forms and types. 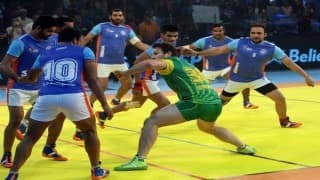 However, there are two types of Kabaddi played, one is the Indian style and other is the international. The international style is recognized by the International Kabaddi Federation. However, they have been successful in organizing the 2004 and 2007 World Cup that has been won by India. 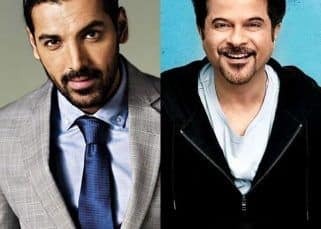 All the other world cups from the year 2010 have been organized in the Indian style. 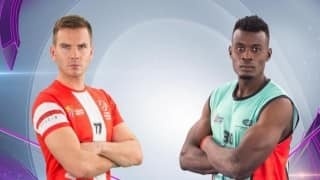 Kabaddi World Cup 2016 is an International Kabaddi Tournament and is being organized by the International Kabaddi Federation. In the 2016 World Cup, there are 12 International Teams and they are divided into six teams each and the top two teams from each pool will be qualified for the semi-finals. The Tournament will be a fortnight long tournament. 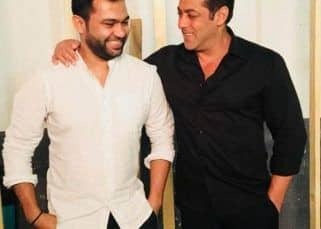 The 2016 world cup is being hosted by the world champions India and all the matches will be held in Ahmedabad at the state of the art stadium. The slogan of the world cup is "The World is ready to Raid". 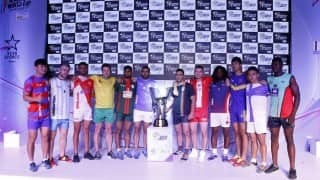 The 12 teams that are taking part in the tournament include the hosts India, Argentina, Australia, Bangladesh, England, Iran, Japan, Kenya, Poland, South Korea, Thailand and United States of America. The first timers in the tournament are Kenya, Poland, USA and Argentina. 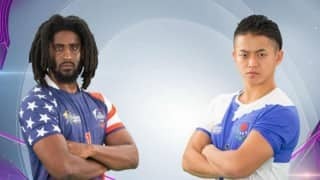 Although India is considered as the most powerful team of the tournament, the first day loss of the team to South Korea shocked the world and it helped the South Korean team to make a positive start to the game. 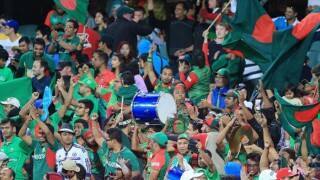 India, South Korea, Japan and Iran are considered to be the most popular teams of the tournament. The official logo of the 2016 Kabaddi World Cup was unveiled by the Indian Minister of Youth Affairs and Sports, Mr. Vijay Goel. 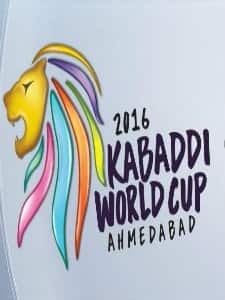 The logo of the 2016 World Cup is of the lion and it symbolizes the fierceness of the Kabaddi defender and the agility of a raider and it also pays homage to the Asiatic Lions of Gir region of Gujarat where the event is being held. 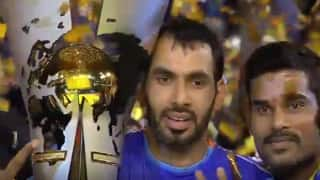 Anup Kumar is the captain of the Indian Kabaddi World Cup 2016 team. 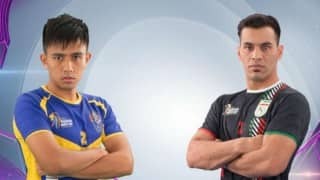 The other international players who are very popular in the tournament include Jan Kun Lee, Fazal Atrachali, Meeraj Shyeikh. The teams has been divided into two pool, Pool A and Pool B. 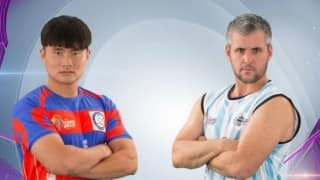 Pool A consist of teams like India, Bangladesh, England, Australia, South Korea and Argentina whereas Pool B consist of teams like Iran, United States, Poland, Kenya, Thailand and Japan. The semi finals are on 21st October whereas the finale is scheduled on 22nd October 2016.